Despite the appalling rain on the evening, many travelled into London for a fascinating and very helpful September meeting. The panel discussed aspects of the writer’s and illustrator’s journey. This started with the Creative Process, then Signing on the Dotted Line - for that illusive deal, through to Giving up the Day Job and becoming a fulltime writer. 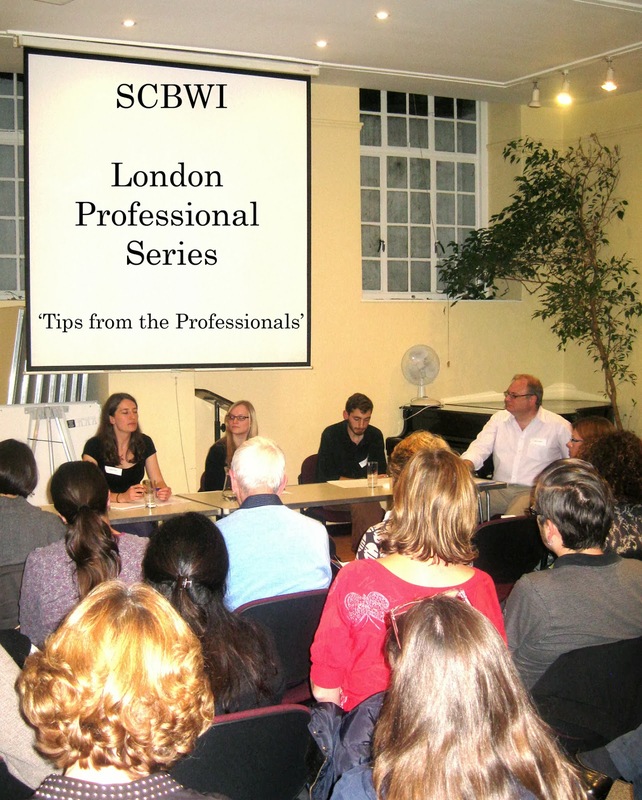 The panel were Tori Kosara who has a great deal of experience as an editor in both the UK and the US; Jack Ramm who works with Eve White and her roster of authors; and Rosie Turner – editor of children’s and YA fiction at Orchard Books. As it was pointed out, by the time anything is ready for publishing the trend may well have moved on. Tori told us to ‘prepare for rejection' - it is part of the job. She encouraged us to ‘keep on persevering.’ If you stop, you’ll never be published. Jack spoke about the collaborative nature of his work as an agent and said that we need ‘to be open to other’s points of view.’ It’s important to listen to others to help bring the work to a publishable state. One question asked was - What would we need to do to prepare for a meeting with a publisher or agent? Tori pointed out that a lot of first meetings can be done now-a-days via phone or email. ‘Especially this can apply to non-fiction work, which can involve a number of people.’ Rosie pointed out that if you’re agented, you may not even meet your publisher until after a deal has been signed. So, finally, the moment arrives when you become a full-time writer - what happens then? Basically, the advice was – keep on writing or illustrating. If there are problems with your agent – remember that it is a human relationship. Keep communication open, look to resolve problems quickly. There was also a discussion on foreign rights, which inadvertently showed how having an agent makes a lot of sense. There were over forty people at this meeting and there were lots of discussions afterwards. The next London Professional Series meeting is Poacher Turned Gamekeeper on Tuesday November 5th. David is working hard on his next project while awaiting the UV 2014 long list announcement. He helps with the London Professional Series Events for SCBWI and is Words & Pictures' Events Editor. In his spare time he works as an adult tutor. David, this is a great report on what looks like was a great session. Thank you.